Less than 2 weeks until the summer comes to an end, the State Fair closes, kids return to school, and the CHANGES for Amazing Threads will be revealed. Stay tuned. September 2 is the BIG DAY!. What a way to start September. Great fun for the shop and all our CUSTOMERS, TOO! In the meantime, no dust is gathering under our feet. Each day the shop undergoes a metamorphosis. Angel and each Yarn Goddess on staff are working their magic with a LOT OF STOCK. 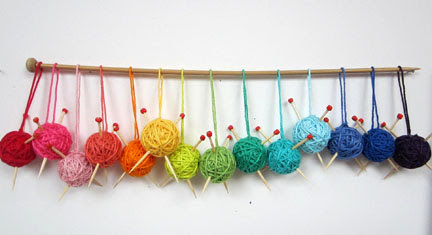 We make string more than pretty with our needles, they make our displays grand and oh, so touchable. Check out the Shibui wall finished yesterday and the new Berroco wall finished today. I got to share yesterday and today with my daughter Steph and my BEAUTIFUL granddaughter, McKinley. As an aging Nona I am amazed at the wonder of a 13 day old baby. She lifts her head to look around and responds to sound and looks at me as I talk gibberish to her. With age does come some sort of wisdom. I will enjoy every moment I am granted with my kids and grand kids. I thank all on my staff that make that possible for me this month. This weeks pictures are FABULOUS! Austin enjoying a ride at the Jersey shore and McKinley as sweet as can be. They are both so beautiful. I know I am biased as any Nona would be! Join Michelle for a Mystery Shawl Knit-Along. Details on our Ravelry page. So FUN & Free. 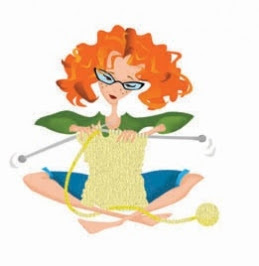 Just buy your yarn for the Knit-Along @ AT and you are in!
. Essentially, this is a previously released pattern that will be handed out in 4 clues. A great project for advanced beginners and intermediate knitters. 1 clue per week for 4 weeks, meeting on Sundays from 2-4 pm except the last week which will meet from 12-2 instead. WATCH FOR THE SOCK KAL, COMING SOON! NEW SCHEDULE IS UNDER CONSTRUCTION! Deb starts teaching the Goblin Hat, Thursdays, August 20, 27 & September 3. Great first hat - only a couple of spots remain. 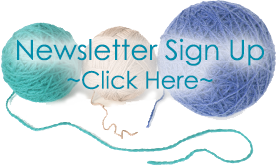 Want to try colorwork? Join Deb to knit "Pigment" - 2 sessions starting August 21 & 28; 11 am- 1 pm This class is held over the lunch hour. Sneak out for a knitting class! The sample on this is FABULOUS! Each month Deb has a "Works In Progress" class. Join her on Saturday, August 23 for this 4 hour class. Start a new project or finish something on your needles. 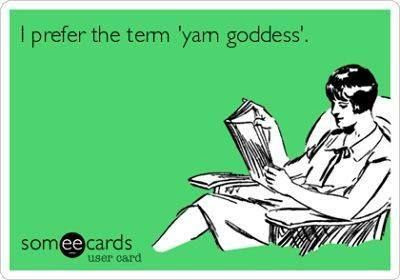 Grab a friend and enjoy knitting with a small group. Each 4 our session is $30. What a deal! Lots new added to the shelves this week and 11 cartons arrived, who from I don't know. I must have been a little crazed at market this year. So what else is new you ask? Angel and staff got the Berroco wall finished and it is great. We welcome both favorites and new yarns this season. 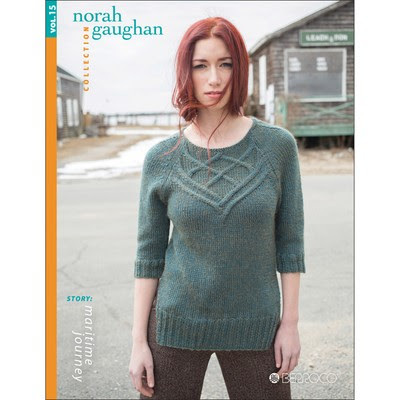 As always Norah Gaughan has created stellar designs to showcase new and existing yarns. Volume 15 includes a beautiful collection of 15 cabled garments and accessories heavily influenced by a foggy maritime story of the sea, washed up ropes, and a quiet landscape. With these themes in mind, the pieces were knit with braided and twisting forms, in a beautiful palette of neutrals. Worked yarns both new and old these patterns feature some of our favorite Berroco yarns. Visit Norah on Ravelry for a look at all her new designs for the season. I have 3 favorites from the fall line: Inca Tweed, Ultra Alpaca Chunky & Andean Mist. Two chunky choices are a surprise for me. I love the look of the Inca Tweed and AND the Chunky Alpaca. The mix of yarn fibers make both of these winners for me. We have looked for a dk or worsted mohair/silk blend for several years and thanks to Berroco we have a hit in Andean Mist. Beautiful hand and great yarn structure. AND OF COURSE, Berroco ALWAYS provides great pattern support. Stop in to catch all of the design booklets. No baby stuff this week for me. Hopefully photos will be ready next week. I am back on my Gingko Leaves shawl. Tolu is working onTerraform (free on Rav) in Zauberball! 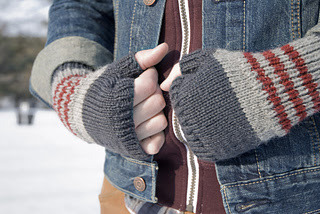 Love the Mitfits Fingerless Mitts, scrumptious in Lima and Lima Colour! The fall chill will be here soon! Not free but really cute: Tumbleweed Infinity in scrumptious Prism Merino Mia.